Quality pneumatic actuators straight from the manufacturer, we can make you any piston size and stroke if you can't find your cylinder all you have to do is to contact us and our specialized team will help you out with your order. Round air cylinders produced according to ISO6432 standard. Available diameters ranging from 10mm up to 25mm, and strokes up to 800mm. Made of aluminum, stainless steel and NBR. Classical profile cylinders manufactured according to ISO 15552 norm (former ISO 6431, VDMA 24562). Diameters from 32mm up to 200mm, and just any stroke possible (contact us if you can't find one you need). Compact cylinders are made in accordance to ISO-21287 norms. In this category they are recognised by its small size and square shape, but besides this they have the same performance as corresponding ISO ones. Cartridge cylinders are a special type of actuators which are characterized by an extremely small size - both diameters and strokes. Very common amongst manufacturers of various types of machines or specialized equipment. Huge selection of accessories for cylinders including, but not limited to, fork heads, swivel heads, spherical mounting, foot mountings and others. Here also piston position sensors. Our accessories are suitable for profile ones. Choose one of models in our offer and select required stroke, diameter and type. As one of the finest manufacturers of pneumatic or air cylinders, our products give you an advantage that no other manufacturer can deliver. We make primarily four types of pneumatic cylinders Round ISO6432, Profile ISO 15552, Compact and Cartridge. 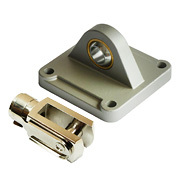 In addition to that, we also manufacture all forms of mounting hardware as well as other accessories that are required for use with these cylinders. We are a one-stop shop for all your need related to pneumatic cylinders and will do our best to ensure that your requirements are met in an ideal manner to give you a product that is worth the price that you pay. 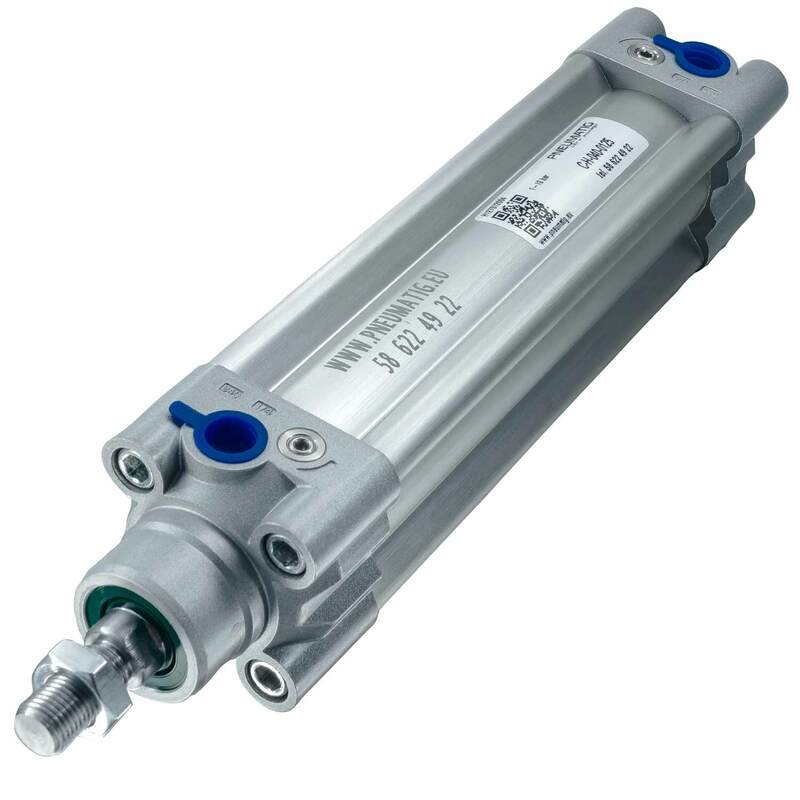 The use of pneumatic air cylinders is to use compressed gas for producing a force in a repetitive linear portion. These cylinders are commonly used for forcing a piston to move in a particular direction. The piston in this case is a cylinder or disc, and the rod transfers the force developed for moving the object. The biggest advantage of using pneumatic actuators is that they are quieter in operation. In addition to that, cylinders are also cleaner and require minimal space for fluid storage and space. Pneumatic actuators are ideal for places where cleanliness is a priority, since the operating fluid in them is a gas, so there is no chance of any leakage contaminating the surroundings. 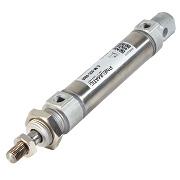 Pneumatic cylinders are most useful for systems where even the rarest and shortest of system failure has to be avoided. In these scenarios, locks are used as a safety mechanism. These locks are useful in cases where the pressure falls, or their supply is lost, which can avoid any damage or remedy it. The leakage of air from input or the output can bring down the pressure and the intended output. There are different types of actuators, which can be differentiated based on their size, appearance, and function. However, all these classifications can be summed up under three categories- single acting cylinders, double acting air cylinders and multi-stage or telescoping cylinders. Single-acting cylinders or SAC make use of the pressure created by compressed air to give rise to a driving force in a single direction, which is usually out and return to the ‘home’ position by a spring. These cylinders have a limited extension because of the space occupied by the compressed spring. Double acting cylinders or DAC use the air force for movement during extending and retraction strokes. Such cylinders have two ports for allowing the car to come in- one each for the outstroke and in stroke. There is no limit for the stroke length in this design, though the piston rod is vulnerable to bending and buckling. The third type of cylinders that are used is telescoping or telescopic cylinders, which can be double or single acting. Such a cylinder has a piston rod that is nested in many hollow stages that have an increasing diameter. 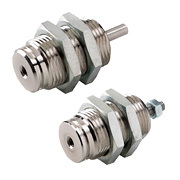 The benefit of this type of design is that it allows for a much longer stroke as compared to a single stroke cylinder that has the same retracted length. These are useful in applications where the piston has the least amount of side loading. There are other types of cylinders as well, such as through rod air cylinders, cushion end air cylinders, rotary air cylinders, rodless cylinders, tandem and impact air cylinders. You can always reach out to us in case you are unable to find a specification or type of cylinder in the catalog. The type of construction applied to make our air cylinders depends on the specifications of the job. Tie rod cylinder is the most common structure type and can be used to make cylinders suitable for a range of loads. It is also the safest form of construction available. We use this construction type for most of our products. The material used for making them depends on the nature of the job and is always of high quality. We use nothing less than anodized aluminum and stainless steel to deliver high quality and durable cylinders. You can get any size of air cylinders ranging from 2.5 mm, which is ideal for a small transistor to 400mm diameter that would provide sufficient force even to lift a car. We produce mainly four series of cylinders: the ISO 6432, ISO 15552, Compact and Cartridge type cylinders, apart from a range of accessories and parts for various cylinders. The ISO 6432 series is a metric, mini-cylinder line, which comes with a range of standard benefits and features. The diameter of a piston used in these cylinders ranges from 8 to 25mm, which corresponds to the ISO Standard 6432 CETOP RP 52 P. The maximum pressure rating for this series is 10 bar or 150 psi. 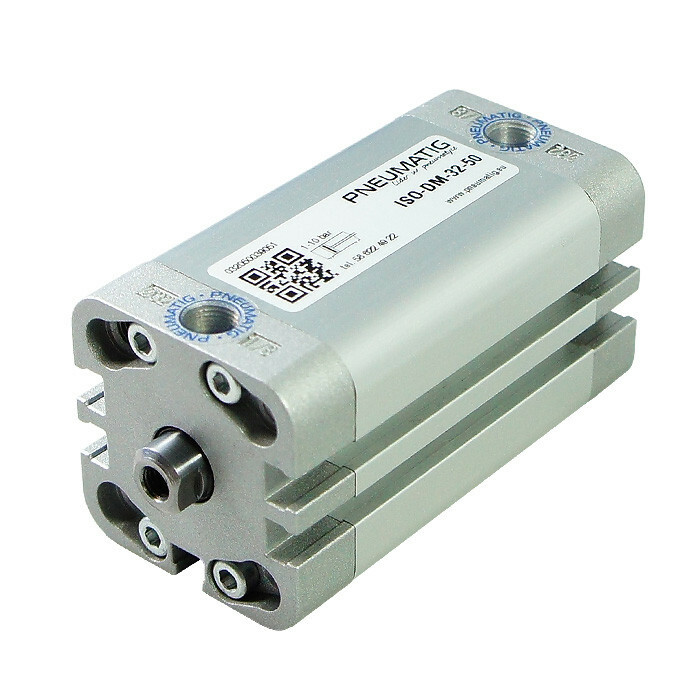 Those kind of pneumatic cylinders are often used in robotics because of their small size. It has the type 303 stainless steel tube that is drawn as well as polished with a micro-inch finish, which is what gives them low friction along with a long life. The end caps of these cylinders are machined using aluminum bar stock and anodized to make them resistant to corrosion. The ISO 6432 series has rod bushing with oil and sintered bronze, which gives the cylinders excellent resistance to wear and tear, along with anti-friction capabilities that make the operation of these cylinders the smoothest. The pneumatic piston is made using an aluminum alloy, which is anodized to add higher strength, on the standard 32 x 63mm bore. The standard brass air piston is on a 8 through 25 mm bore. The seals on the piston are low-friction with Buna N “U” Cup, which also adds to the wear resistance of the cylinders. You can also opt for high-temperature seals if the use demands them. The ISO 15552 line of cylinders corresponds to the standard-based cylinders that confirm to the 15552 standards. These cylinders can help you save over 11% on fitting space by their modern design and construction techniques. This extra space saved in comparison to ordinary cylinders is what allows for a more compact design and system. A range of accessories is available for these cylinders, which allows them to install anywhere else. Compact cylinders are amongst the most versatile cylinders available in the market. Depending on the type of pneumatic cylinder being opted, there is a range of bore sizes available. For instance, the NCQ2 is a compact cylinder that comes in bore sizes ranging from 12 to 160 mm. The CQ2 is available in 15 different bore sizes, with 24 standard options, which is what makes it one of the most versatile series in the market. 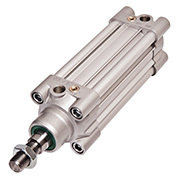 Cartridge cylinders are popularly used specialized equipment and various types of machines. Such cylinders are characterized by the small diameter that they have, which is often around 6 to 16 mm. The stroke length of these cylinders is between 5 to 15 mm. Not only our products offer a range of operation advantages, but they are also superior in technology to other forms of cylinders as well. E-Pneumatic actuators are available in every range and specification to suit a specific job type. With everything ranging from the cylinder to specific mounts and other accessories available under a single roof, you do not have to worry about going anywhere else. Air Cylinders are automatic tools which with the help of the influence of compacted gas create energy in a responding rectilinear motion. Similar to hydraulic ones, something is causing the piston travel to any destination as desired. The power plant is round or cylinder, and it delivers the force to the item to be moved. However, actuators are preferred due to the reason that they are noiseless, domestic, and do not need large volumes for liquid packing. As the working medium is air, outflow from the cylinder will not trickle out and spoil the settings. Making actuators require more cleanliness. However, they delivers high stalk power production for challenging service situations. These actuators are frequently operated by air, but selected ones can be functioned by the course liquid on their own. They may include tie bar cylinders, revolving actuators, grippers, rodless having alluring linkage or rotating ones and the list continues. Single-acting use the force delivered by compacted air to make a massive force in one course and a coil to regain its position. This kind of cylinder has partial addition due to the area the compacted coil takes up. 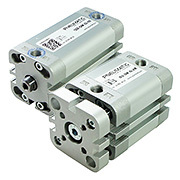 Double-acting pneumatic cylinders use the power of air to transfer in cooperation to lengthen and pull back knocks. They carry two areas to permit air in, one is for out-stroke, and other is for in stroke. Stroke span for this project is not limited. Telescopic ones can be either single or double-acting. The telescoping joins a piston bar knotted within a sequence of heavy phases of increasing width.Telescoping actuators are chiefly employed in submissions where the power provider allows negligible side filling. Rod air is those in which piston bar spread out through two edges of the cylinder, permitting for equivalent powers and velocity on any side. Cushion close has controlled air drain to evade influences among the piston bar and the cylinder cover. Rotary ones are actuators that apply air to convey a revolving motion. Road less air cylinders carry no piston bar. 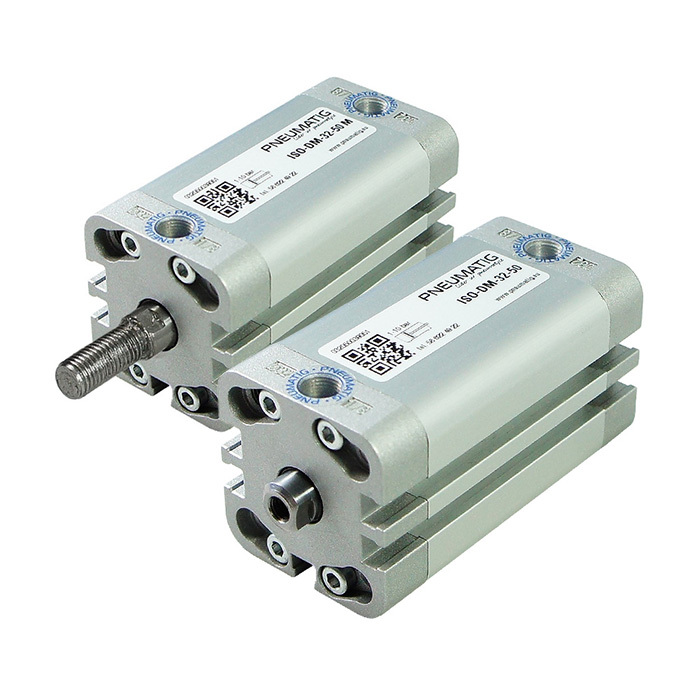 They are actuators that practice a motorized or magnetic linkage to deliver force. Tandem are two cylinders assembled in sequence in meant to increase the force production. Impact ones are upper-speed cylinders with mainly intended end shields that endure the impression of spreading or withdrawing piston bars.